Fogarty Law Firm is pleased to announce that the Irish Ambassador, His Excellency Dr Ray Bassett, has appointed Stephen J. Fogarty, member of the Bar of Quebec and of the Law Society of Upper Canada (Ontario), to the post of Honorary Legal Advisor to the Embassy of Ireland in Canada. The appointment took place in Ottawa on 6th March 2013 at the offices of the Embassy. Mr Fogarty will be providing advice to the Ambassador on a wide range of legal issues. “The Embassy is delighted to have such a distinguished member of the profession in both Quebec and Ontario Provinces as its Honorary Legal Advisor”, Dr Bassett said. 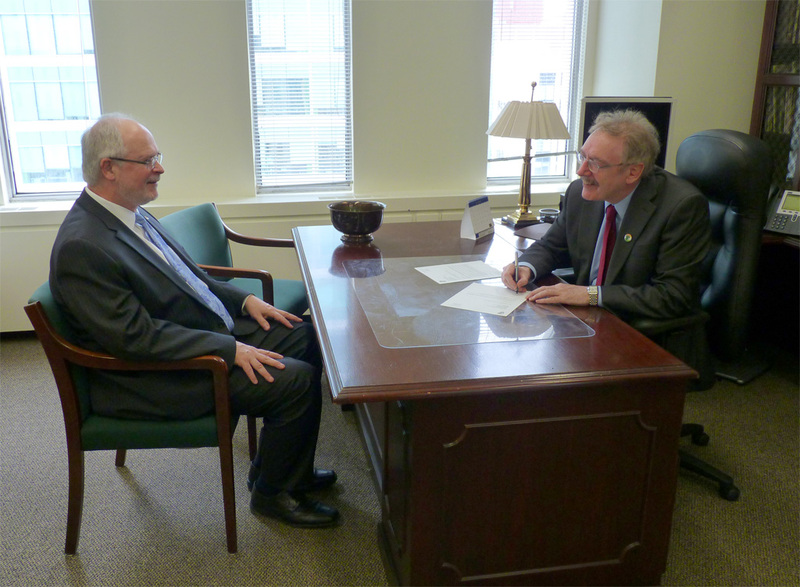 Stephen Fogarty has been a member of the Quebec Bar since 1986 and of the Law Society of Upper Canada since 1991. He practices at his office Fogarty Law Firm in Montreal, mainly in immigration and citizenship law of Canada. He has taught courses on immigration and criminal law matters to other members of the legal profession since 2004. Mr. Fogarty has served on the boards of several community organizations, and is currently Vice-President of the Ireland-Canada Chamber of Commerce (Montreal Chapter). He was recently invited to become a Governor of the Quebec Bar Foundation, a prestigious honour reserved for leading members of the profession. Stephen enjoys authoring Blogs, speaking to groups and taking violin classes. He is married with two college-aged children.